Counsel General of India in Houston, Anupam Ray said India is cancelling the Overseas Citizenship of India (OCI) cards of Wesley Mathews his wife Sini and the couple's some relatives and close associates as public opinion in India on this issue is inflamed and travel of these people to India is not in public interest. The foster parents of Sherin Mathews, the three-year-old Indian girl who was found dead in a culvert in Dallas, on Friday relinquished custody and parental rights to their biological child. 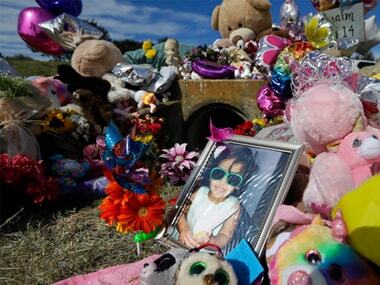 The tragic death of three-year-old Indian girl Sherin Mathews may lead to a new law in the US state of Texas which would make it a felony to leave a child alone at home, a media report quoted activists as saying. Prosecutors in Texas will decide in the coming weeks whether to seek the death penalty against the Indian-American adoptive father of three-year-old toddler Sherin Mathews whose decomposed body was found in a culvert, according to US media reports. 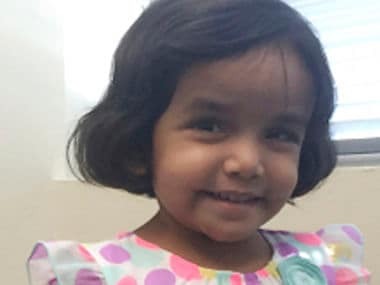 Community members in Dallas have planned a bench dedication ceremony and memorial service for the Indian toddler Sherin Mathews, who was found dead in a culvert in mysterious circumstances in October. Seven weeks after Sherin Mathews' body was found in a culvert by a cadaver dog, the location of the 3-year-old Indian toddler’s final resting place has been revealed. The foster mother of a three-year-old Indian girl, who was found dead in a culvert in Dallas last month, on Wednesday returned to court and sought right to visit her biological daughter.